Visit California’s (formerly the California Travel & Tourism Commission) Rural Tourism Development Program is responsible for bringing together the state’s rural constituencies and promoting natural, cultural and heritage tourism through cooperative marketing programs. Previously under the organization’s Industry Relations operational department, the Rural Tourism Development Program moved to the marketing department, which warranted the need to evaluate California’s rural tourism product from the perspective of its consumers. 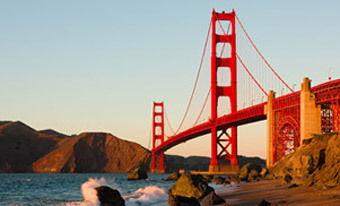 To meet Visit California’s informational needs on consumer insights and behaviors, Destination Analysts conducted a qualitative research study of 24 travelers who reside in major statewide, domestic and international feeder markets. This consisted of a 60-minute in-depth interview with each participant via Destination Analysts’ online video conference lab. The online lab allowed for interactive engagement with participants, including a white board exercise, use of the Visit California website to assess online content, and the viewing of Visit California video and print advertisements. Working closely with Visit California, the interviews were structured around a discussion guide developed by Destination Analysts. The discussion guide specifically assessed participants’ understanding of the state’s geography, how they refer to lesser-known areas, information they would like to receive about the state’s lesser known areas and how they prefer such information to be presented, as well as appealing offerings and destination attributes that would motivate a trip to rural areas in California. The research findings accomplished Visit California’s objectives, providing a deep look into travelers’ understanding and perception of California’s rural areas. In addition to determining the best ways to present California’s rural product through brand communications and content included in Visit California’s collateral, the organization’s staff and a rural committee task force were able to make structural and programmatic modifications based on the research. These improvements to the rural marketing program and its communications led to increased visibility of the state’s rural areas and further enhanced benefits to rural stakeholders.